Hang your hat and enjoy Chautauqua County's beauty, wildlife, hunting, fishing, nature trails, Red Bud tour(late March-early April), bird watching, country roads, beautiful sunsets and peaceful rural living. Sedan where the Flint Hills meets the Chautauqua Hills. 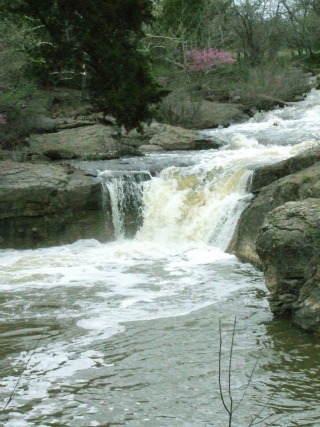 Butcher's Falls is located on the Red Buffalo Ranch northwest of Sedan, go Highway 99 north; watch for sign then 3 miles west on Kansas Road. The tallest water falls in the area and one of the most photographed as well as artists' favorite subject.